Police investigated a bomb threat at the Century Theaters at the Great Mall in Milpitas Saturday night. 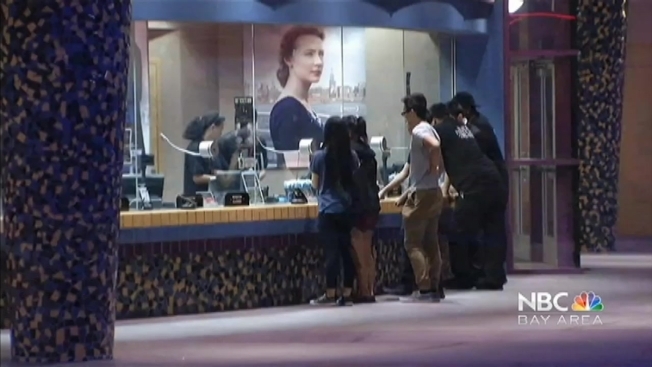 At 8:25 p.m., theater staff got a call of a bomb inside the theater, Milpitas Police Sgt. Bryan Hinkley said. Mall security and police officials worked together to evacuate everyone from the theater. The Outback Steak restaurant and the plaza area were also evacuated, Hinkley said. Milpitas police officers, as well as mall staff, conducted a search that lasted for half an hour, officials said. Shortly after 9 p.m., the search was called off and the businesses were allowed the reopen. Hinkley said the person who called did not specify where the bomb was or make any demands. Milpitas police will be working with a phone company to track down where the call came from, Hinkley said.